The Mafia Man Through the Eyes of a Criminal By: Christopher Kenneth Patton What if it were possible to be a real Mafia man? What does it take to be an organized criminal that never gets caught? Would you like to be able to do whatever you want, no matter what? The answer to these questions is probably yes to some and no to others. 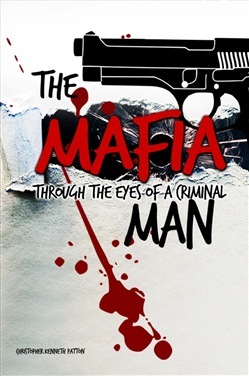 From narrow escapes with the law to the high-class living this kind of lifestyle can pay for, in this book the reader will meet a Mafia man, Rick Thompson, and will experience just what an organized criminal may do. Maybe you will find out if you can succeed as a career criminal or that you could never do anything like it. If you have decided that you are not Mafia material, then the author hopes this story keeps you at the edge of your seat and keeps you suspended in the lifestyle of a professional conman. About the Author Christopher Kenneth Patton grew up in rural Iowa and rural Nebraska, moving between the two states more than one time. He graduated from a public high school in June of 2001 and then attended Iowa Central Community College where he obtained a technical degree. After college, Patton worked as an engineer for four years, before he decided to retire from the field and become an author. Acquista The Mafia Man in Epub: dopo aver letto l’ebook The Mafia Man di Christopher Kenneth Patton ti invitiamo a lasciarci una Recensione qui sotto: sarà utile agli utenti che non abbiano ancora letto questo libro e che vogliano avere delle opinioni altrui. L’opinione su di un libro è molto soggettiva e per questo leggere eventuali recensioni negative non ci dovrà frenare dall’acquisto, anzi dovrà spingerci ad acquistare il libro in fretta per poter dire la nostra ed eventualmente smentire quanto commentato da altri, contribuendo ad arricchire più possibile i commenti e dare sempre più spunti di confronto al pubblico online.